A short medicine song, performed on harmonica in my little apartment. 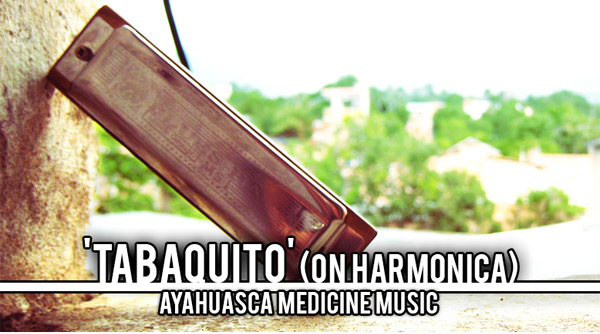 This is a personal variation on a traditional medicine song for “Tabaquito” – The tobacco spirit. There’s much talk of the medicine songs sung by shamans in Ayahuasca ceremony, but it might surprise many to discover that instruments are often brought into the moment; guitars, flutes, drums, rattles, harmonica to name a few. This tune is the kind of soothing music one could expect to hear in ceremony, although every facilitator has a personal style! Please feel free to enjoy this tune whenever you need help settling your energy.